The Ozarks region is filled with natural attractions that are great to enjoy such as the rolling hills, wooded valleys, and mountains that have eroded over time that helped the creation of the three man-made lakes such as Table Rock Lake, Bull Shoals Lake, and Lake Taneycomo. 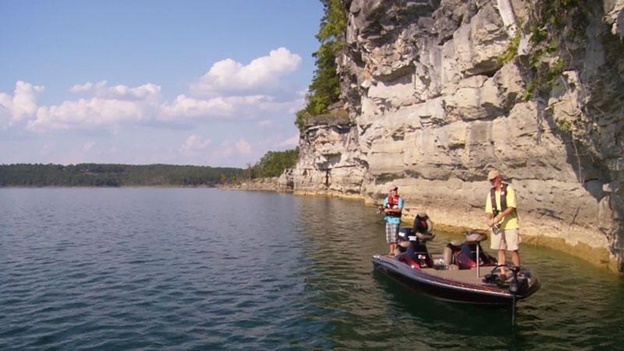 All of this makes the area more attractive to experience great Branson outdoors where visitors can enjoy many exciting activities including boating, fishing, hiking, camping, biking, horseback riding, and much more. With the publication of the Harold Bell Wright’s novel , “The Shepherd of the Hills” in 1907, Branson has become a popular tourist attraction overnight. The novel is a story about the mountain country and people living in the area. After the stories of the healing springs that circulated in the area, Eureka Springs suddenly become known in the Ozarks and many settled in the late 1800s. During 1900s, Eureka Springs gained fame as artists colony and attracted writers, painters and other creative vocations. Today, the place is known for its gorgeous scenery, well-maintained springs, vibrant art scenes, and Victorian architectural designs. For so many years, the hill people of the Ozarks were called hillbillies, and it is not a term to take it lightly. As with other race in the region, the hillfolk may call themselves hillbillies, but others are discouraged to use the term as it can be considered derogatory and offensive. While the thrill of summer is long gone. The warm air transforms for a cool breeze and the spirit of adventure in outdoors during winter season is not much desired anymore. Hiking boots are kept in the closet and camping gear gets a special corner in the back of the garage. Many people just wanted to hide indoors. This is a regular cycle of life every year. People’s motivation for outdoor sports gets trampled by cold weather. Many put outdoor activities during summer only and forget about it in cold season. But Branson offers many indoor fun activities that can be enjoyed best even on winter season. So people visiting Branson during the cold season don’t necessarily glue themselves inside their homes. Even if it’s cold outside, families can still enjoy water activities in some of Branson’s indoor water parks such as The Castle Rock and Grand Country’s “Splash Country”. The place provides visitors exciting water fun activities in this indoor water park that offers slides and fun-filled water adventures even on the coldest days. Even if it’s snowing outside, majority of Branson hotels and other lodging facilities are open during winter season such as Thousand Hills Golf Resort where you can enjoy the fun and excitement on their indoor heated pools. Branson has countless attractions that are not weather dependent and remain open all winter providing fun and excitement like as they are enjoyed during other seasons. Among these attractions where you can have some fun during winter include Titanic Museum, Dinosaur Museum, Hollywood Wax Museum, the Butterfly Palace and Rain Forest Adventure, and many others that continue to provide fun for the whole family.